Cookies, Cake, Porridge, Crackers are more than enough to attract kids. They would love to sink their teeth is these heavenly goodies. Nevertheless, addition of ingredients like milk, curd and butter to these goodies forbids their addition to a kids diet with lactose intolerance. It isn’t milk allergy. Lactose intolerance simply means that the child’s body isn’t producing enough of the enzyme ‘lactase’ which is the primary need to breakdown the lactose – the sugar present in milk. Thus all dairy products turn out to be a complete ‘NO-NO’ for kids experiencing lactose intolerance. 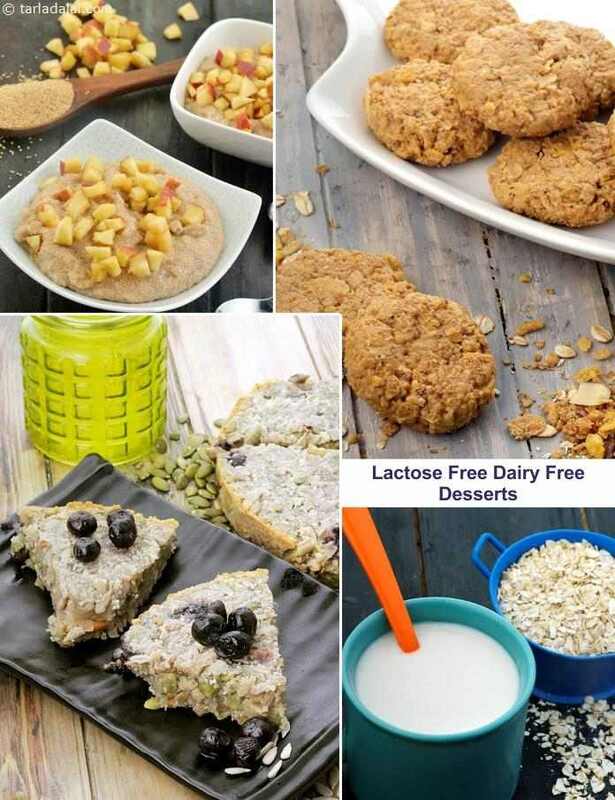 Glance through the recipes of this section if you are looking to cook something special and pleasing for your child who has been identified with lactose intolerance. Scroll down the table to find a list of kid-friendly lactose-free, dairy-free recipes. Experiment with these recipes for a true dairy free experience and watch that grin on your child’s face.